Sick of having the same old thing for dinner and looking for a new ideas? How about something easy that you can just toss in the slow cooker in about 5 minutes, and then not touch again until you eat? Well, I have a super yummy recipe for you to try. 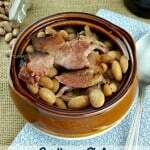 It is a recipe for southern style ham and beans. This is one of those recipes that comes in handy for left-over ham. So the next time you have a ham dinner, be sure to save your ham bone to give this recipe a try. 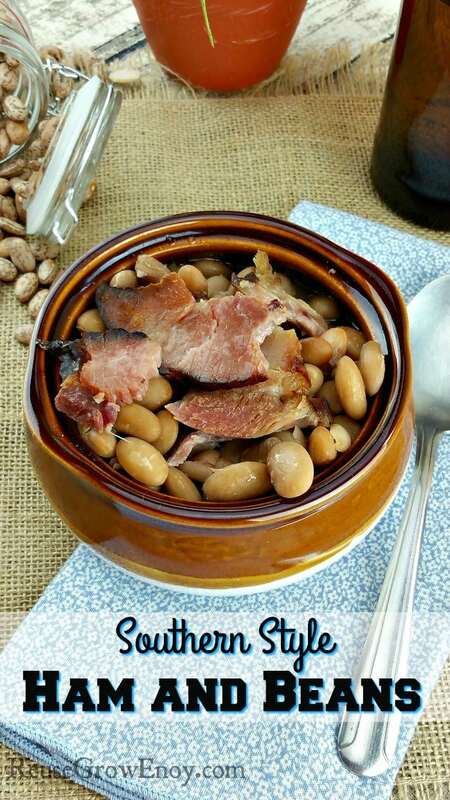 This southern style ham and beans is easy to make, but you do need to be sure to put it on early as it will take 8 hours on high to cook. But let me tell you, it is well worth waiting for! I also love this recipe because it is one that is great for times when you have tight budget as it is very few ingredients. Oh, one quick tip before I share the recipe with you. 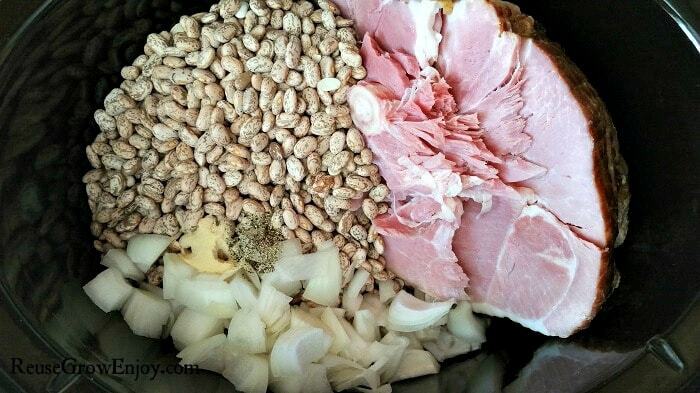 If you have a ham dinner and do not feel like having ham and beans the next day, simply wrap the ham bone with the left-over ham on it and put it in the freezer. Then on the day you are ready to have it for dinner, simply take it out of the freezer unwrap it and put it in the slow cooker. Cook on high heat for 8 hours.